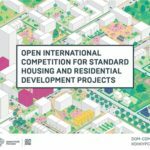 The Open International Competition for Standard Housing and Residential Development Concept Design has been officially launched. Architects and bureaus from all over the world are invited to develop projects of innovative housing for future generations of Russians. Applications can be submitted at https://dom-competition.ru until 25 December. Today quality standards employed during the Soviet-era mass development have become obsolete, and current residential housing fails to provide modern comforts. To create convenient, diverse and sustainable urban environment, Strelka KB and Russia’s Agency for Housing Mortgage Lending (AHML) developed Guidelines for Complex Development of Urban Territories. This document will form the basis for the Competition Brief. Competition participants are required to develop 4 types of houses for one of the urban environment target models: low-rise, mid-rise and central. Competition entries will be judged by compliance with the Competition Brief and the solutions they provide, the potential for application in different climate zones, and expected cost of construction and maintenance. 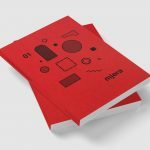 up to ten projects will be granted a third-place prize of 1 million roubles (about € 14,600) each. Use of various combinations of standard architectural solutions will allow developers to decrease costs during all stages, including the operational stage, and to optimize management and design processes. The projects developed by ?ompetition participants should meet the current needs of urban dwellers in Russia. The ?ompetition is launched by Strelka KB and supported by the Government of Russia, Ministry of Construction and the United Development Institution in the Housing Sector. Terms and application forms are available at https://dom-competition.ru.